Reports from St. Louis media on Wednesday morning are that Blues captain David Backes may return to the lineup for Game 4 at the United Center. 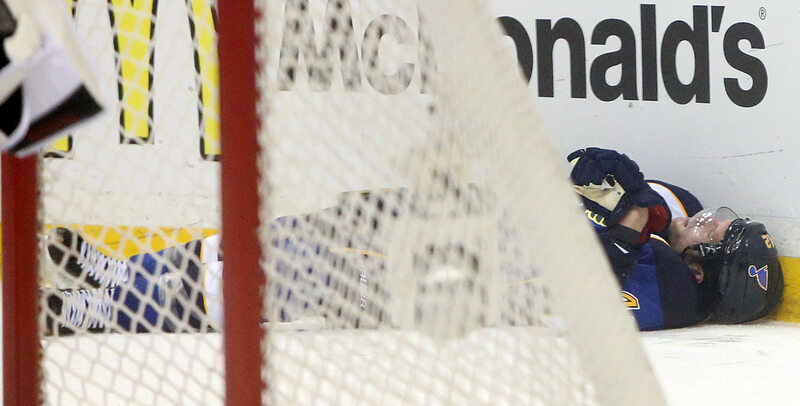 Derek Roy returned to practice early Wednesday afternoon, but Backes was absent from the game day skate. The St. Louis lines were: 29-20-74, 9-17-91, 12-21-79, 32-40-75. UPDATE: after practice, Hitchcock would only say that Backes wasn’t available for the morning skate. He did, however, say that Brenden Morrow is out for the series. Any word on Hawks lines? A real, paid doctor is going to give clearance for Backes to play? There has to be some concussion protocol that doesn’t allow that. No chance he should be playing. Keith did miss the practice. Got to love the NHL concusssion protocol. I guess it will take a player to die on the ice before systematic change takes place. I’m rooting for David Backes to get healthy, because he’s a damned good hockey player and I don’t want to see any player succumb to injury (er, except Raffi Torres). But c’mon…this has to be a smokescreen. The league? The team? The doctor? I’m 100% for personal responsibility and if this idiot wants to play because he is a grown man and can make his own decision that is fine. Even if everyone says “no you shouldn’t” unless someone decides medically that someone suffering from concussions can’t make legally binding decisions — Who does the ax fall on? I think the NHL has to make a stand there one way or another. Would be a great way to get some more brain surgeons. NHL sponsors medical bills and such. These people work for the NHL for a few years traveling around and evaluating current and former players after school gets out. Then they can go seek employment wherever. Everyone wins. Hitchcock just getting everybody to pay attention to something else, to distract attention, cause commotion, see if he can play some media psych games to get Hawks off their game. Remember, Resolve! 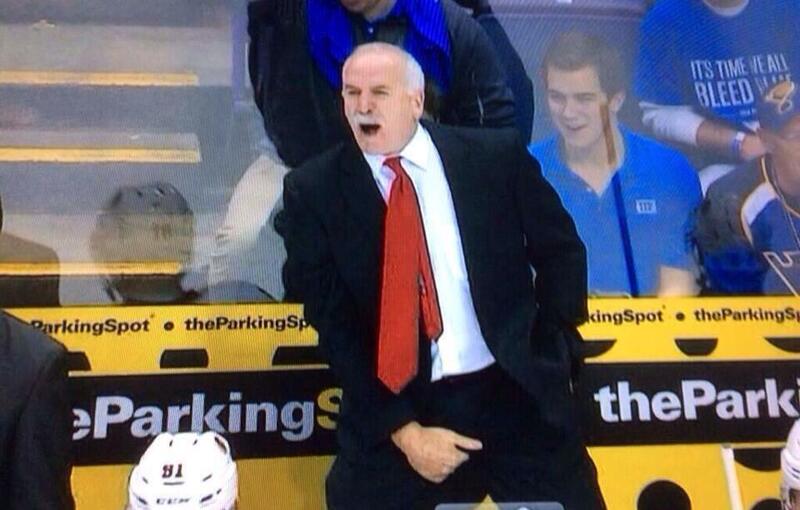 I also heard the Q is suiting up to take Seabs place and plans on fighting Oshie first thing…. Maybe he isn’t hurt as bad as everyone thinks. I hope he plays. I didn’t like the Seabrook hit. 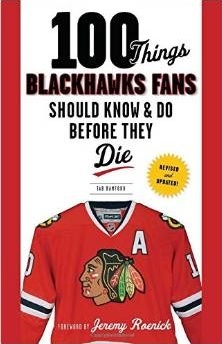 I want the Hawks to beat the Blues straight up. Agree, always want the opponents best shot, leaving no doubt in the outcome. Hope he is able to play, my other feelings about him aside. Plus, when he comes back, it will be nice to see him and 19 shaking hands after the series finale, StL bows down, and out! Backes like every other player that is concussed has to pass tests that would clear him to play. The protocol is actually very strict from what I have heard. Some people recover faster than others and seldom are people the same with that kind of injury. The Hawks are back in this thing, in a big way.